A couple of days ago, there was a negative blog post in the New York Times regarding placenta encapsulation, entitled “I Regret Eating My Placenta”. The post was written by Nancy Redd, author of “Body Drama” and “Diet Drama”. She’d had her placenta encapsulated and was unhappy with her experience. The author states that she received pills containing her placenta and “cleansing herbs”. My first and obvious question is, what were these mystery herbs?! To clarify for everyone, there should be nothing in placenta capsules besides placenta. What if Ms. Redd’s adverse reaction to her capsules were from the herbs? Once dried herbs are mixed in combination with dried, ground placenta, it is impossible to separate them. PBi Specialists never combine prepared placenta with additional additives of any kind, especially if the mother has had no prior experience with that herb or knows how her body reacts to it. It seems unfair and inaccurate to bash placenta encapsulation for poor results if the capsules contained ingredients other than placenta. Immediately upon taking two capsules Ms. Redd reported that she felt “jittery and weird”, something that was only exasperated the more pills she took. She said the second day of her pill regimen she found herself in “tabloid-worthy meltdown mode, a frightening phase filled with tears and rage.” So the next obvious question is, why didn’t she call the person who prepared the placenta to seek advice and guidance on her awful reaction? We also don’t know which method of preparation the placenta processor used. Or, for that matter, where the placenta was prepared. PBi Specialists ONLY prepare a placenta in the client’s home so that the client is assured she is, in fact, receiving her placenta and that the preparation was done in a safe and sanitary manner. Many placenta processors, not affiliated with PBi, offer to prepare the placenta in their own home and deliver the finished capsules to the client. If this was the case with this woman, how does she even know that her pills contained placenta at all? The only way to absolutely ensure what is in your capsules is to keep your placenta in your possession at all times. Ms. Redd’s placenta encapsulation experience was anything BUT normal or common. This one person’s experience does not negate the thousands of women, myself included, who have shouted from the rooftops about the energy, happiness, and overall well-being we felt postpartum as a result of our placenta capsules. There are many reader comments on Ms. Redd’s article that I wish I could address, but I would need a bigger blog. I will, however, say this; mammals do not eat their placentas to clean the nest or to keep predators away from their young. Unchallenged predators consume their placentas, even though they are not likely to fear that predators could harm their young. Additionally, even in species in which the baby is able to get up and walk away from the birth site, the mother will stay until the entire placenta is consumed. Certain primates that deliver their young high in a tree will not let the placenta drop to the ground, but will instead consume it, even taking an hour or two to do so. And, lastly, birth is a messy process. Yet there is no effort to clean up any of the blood and other fluids that exist on the ground of the birth site, which would also presumably attract predators. Source: Placentophagy as an Adaptive Biological Behavior. There is one thing that Ms. Redd states in her article that I do agree with. There is a limited amount of research on placentophagy and its benefits, and it is an area that is wide open for more research. 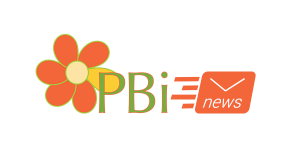 Jodi Selander, the founder of PBi, has been working as part of a research team at the University of Nevada, Las Vegas. We are the only training and services organization that has been a part of Internal Review Board-approved and peer-reviewed research on human maternal placentophagy at a major university. New research papers will be published this year (summer 2012), and PBi Specialists will be the first to get their hands on this exciting research. While much of the evidence for placenta encapsulation is anecdotal, the droves of women who have done it and directly attribute it to their wellness and rapid postpartum recovery cannot be ignored or discounted. I say this respectfully, but at the end of the day, Ms. Redd is just disappointed that her results differed from the overwhelming norm, and let’s face it, that’s not an appropriate reason to bash on placenta capsules as a whole. Perhaps instead of spreading negativity about something that has the potential to help many women have an easier postpartum recovery, she should take responsibility for not contacting her encapsulator when her results were concerning her, instead of continuing to increase her dosage of her own accord and then quit cold-turkey. PBi’s Placenta Encapsulation Specialist®s are always available to their clients to assist with dosing information, questions, and referrals. As unfortunate as Ms. Redd’s experience was, I hope it shines a very bright light on the importance of hiring a trained and certified professional from the PBi Network of Specialists. In order to become a PBi-Certified Placenta Encapsulation Specialist®, the Specialist must read and prove comprehension of much scientific research through written essays. Then the prospective Specialist must be evaluated on his/her knowledge in the form of a final exam. To then achieve Certification from PBi, the Specialist must submit performance evaluations completed and signed by at least three of their clients. They also must complete additional safe food handling certification from their state. Only then is a PBi Specialist actually Certified. Additionally, Certification must be renewed each year in the form of written evaluations from their clients. So just because a former Specialist may have been Certified through PBi at one time, it does not mean that they are still PBi Certified. Our currently Certified Specialists can be found by the designation of CPES after their name on our Provider Directory. Every PBi Specialist must follow strict safety protocols, are motivated in the client’s best interests, well educated in both the available and upcoming research, and hold a high standard of practice and ethics. If they do not, any client of any Specialist can file a report with PBi, and appropriate action will be taken. So, to all of you expecting mamas out there, don’t let Ms. Redd’s article scare you about some outside risk for potentially adverse effects of placenta capsules. Instead, let it empower you to do your own research and, when the time comes, should you choose to encapsulate, choose a PBi Placenta Encapsulation Specialist®. When you choose PBi, you have an international network of support behind you, not just one person. Placenta Benefits stands behind its Specialists 100%, because we get regular feedback from the women they serve about their service and performance. We are here to help YOU have the best postpartum recovery possible. Read more about the benefits of using placenta capsules for postpartum recovery. Read testimonials from other mothers that have used placenta capsules, with much more typical results.